This template starts with the heading of the school or the learning institution. This is to clearly distinguish the timetable of one institution from the others. It is divided into two parts. One column shows the time when the activities will be carried out. The other column shows the days when these activities should be carried out. On the left-hand side is where the time intervals are indicated for each activity. Inside the template, different activities are distributed to fit in the intervals given. Different colors can be used to make it look appealing and also make a person identify what he is looking for quickly. In this template, they start by identifying what it is. For instance, it is indicated in the top class schedule. 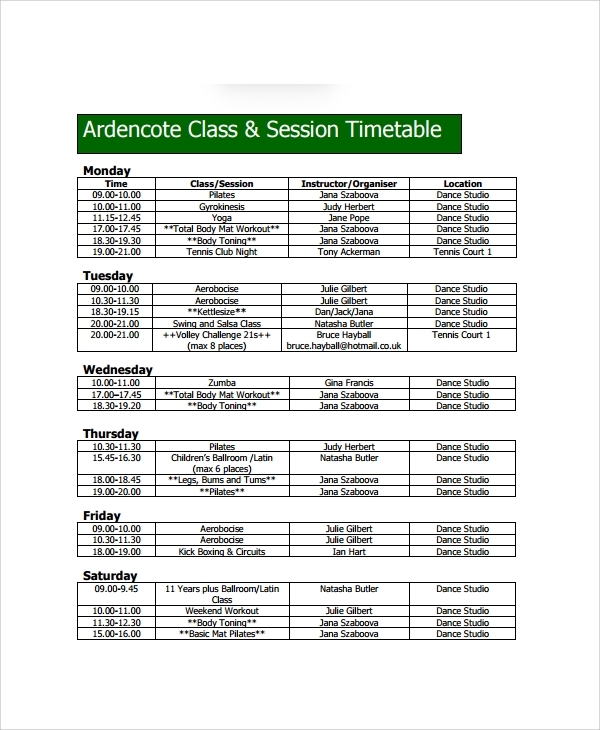 There is a section where the name of the class must be indicated and also the semester that the timetable is being scheduled for. The template is divided into two parts. One part is where the time intervals are put. The other part is where the days of the week are indicated. All activities are repeated over and over again until the semester comes to an end. 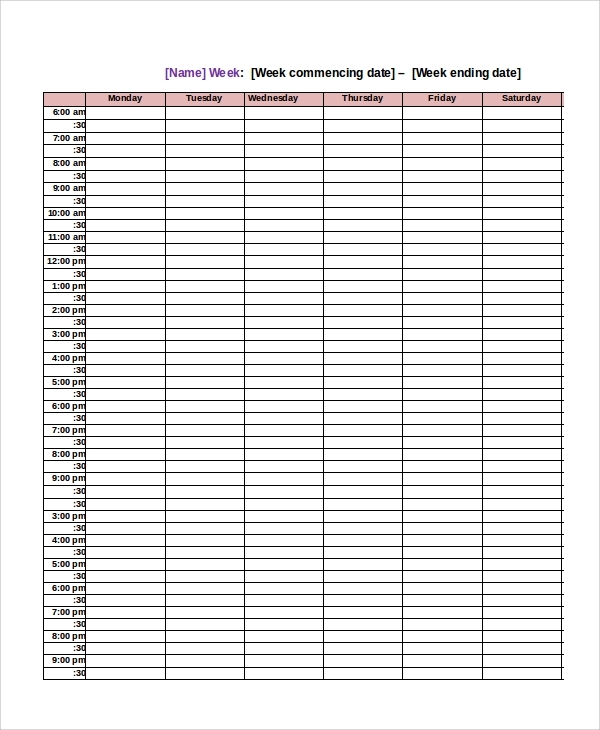 This template indicates the week name for example week four at the top. It also indicates the commencing dates of the week and the ending dates of the week. It is also divided into rows and columns. On the left side is where the time intervals are indicated. This is the amount of time one activity is expected to take. 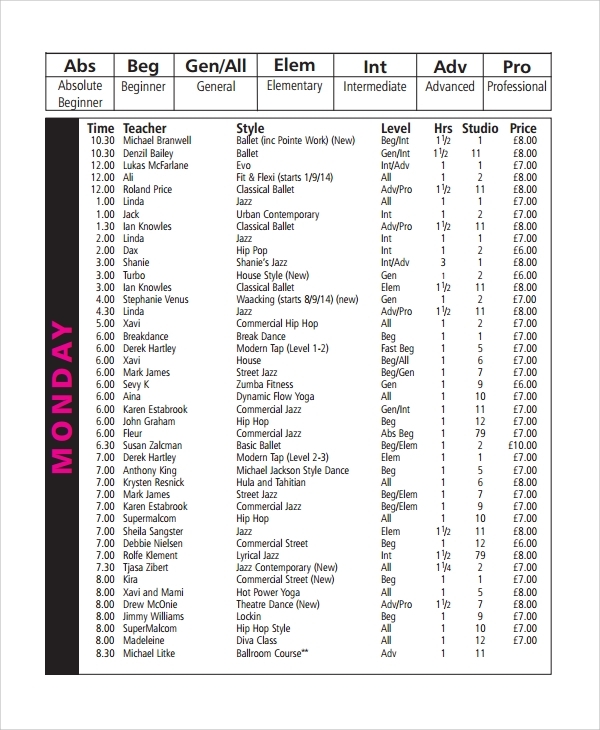 On the top columns is where the days of the week are indicated. Inside the templates, the activities that are going to happen during that week are indicated clearly. They are well-structured and organized to make the workflow easily. 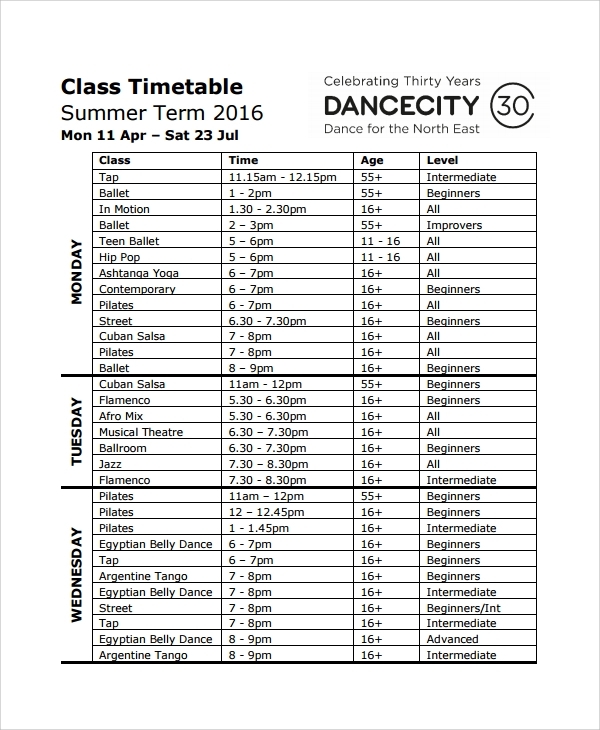 In this template, the name of the dance class is indicated at the top of the document. Their contact details are also indicated as well. In the body of this document, some instructions of the activities that are going to be carried out are also indicated. For example, the ages that must attend such classes are clarified. The time that the occasion is going to happen is included in this document. Also, other requirements are also indicated in this document. 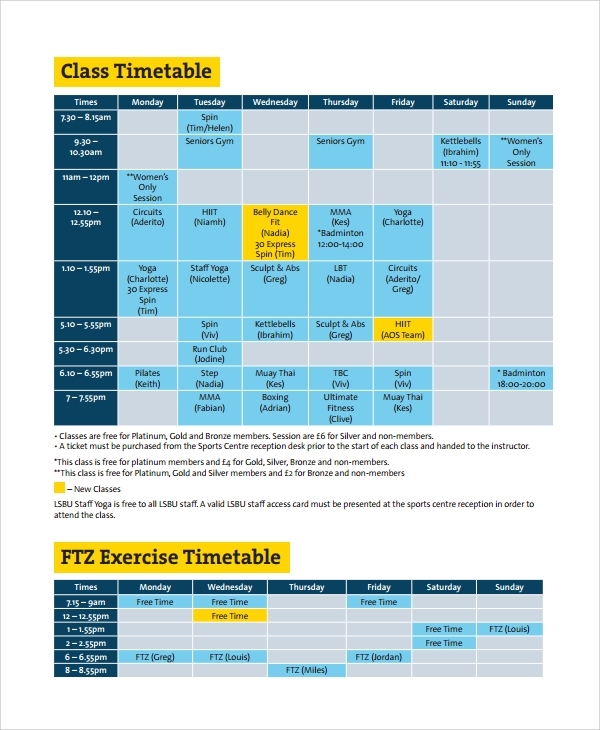 What is the Importance of Class Timetable Template? 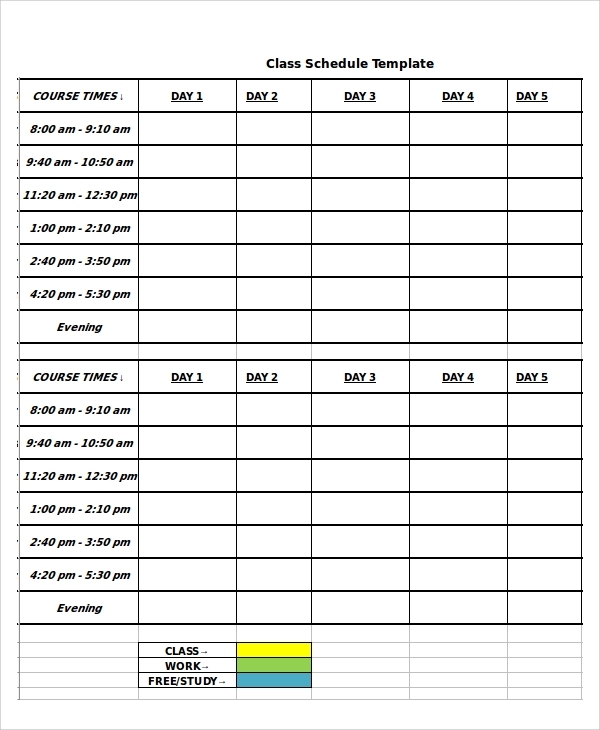 What are the Characteristics of a Class Timetable Template? 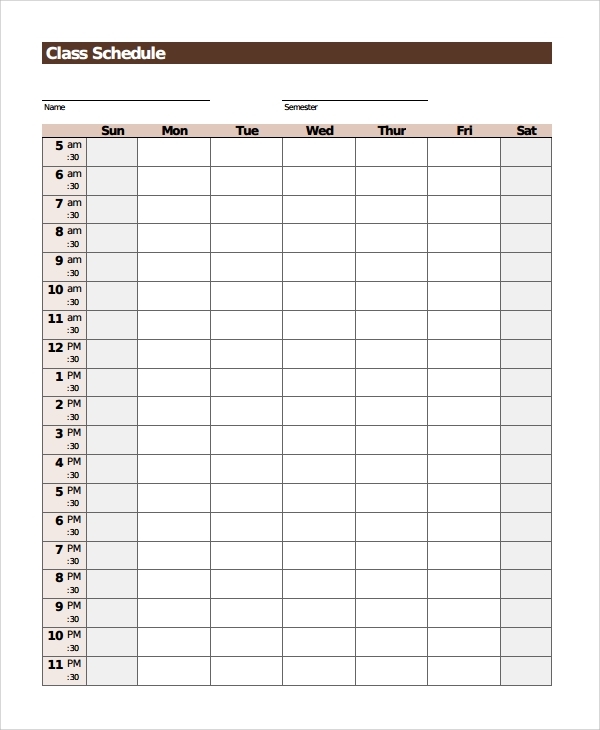 there is no better way of getting things done correctly at the required time than implementing a timetable. 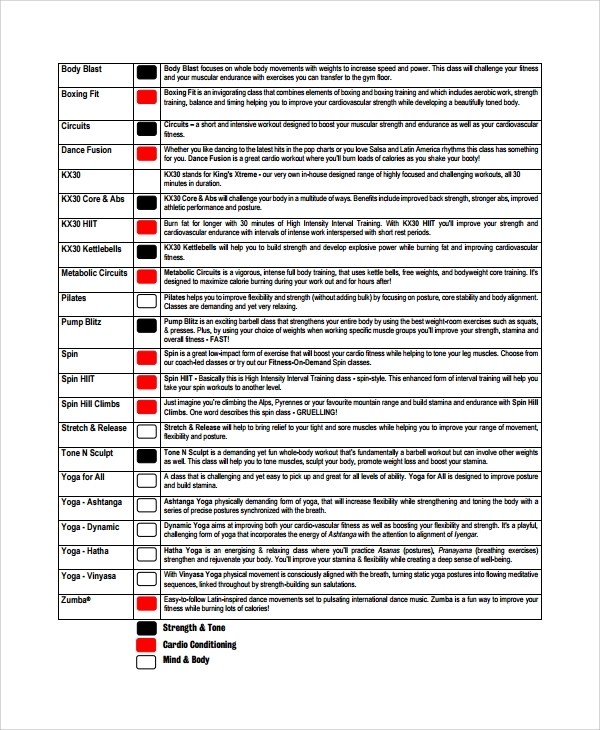 Getting a template that is ready to edit and fit in your schedule of activities makes is even better. We offer you this organization technique in templates. 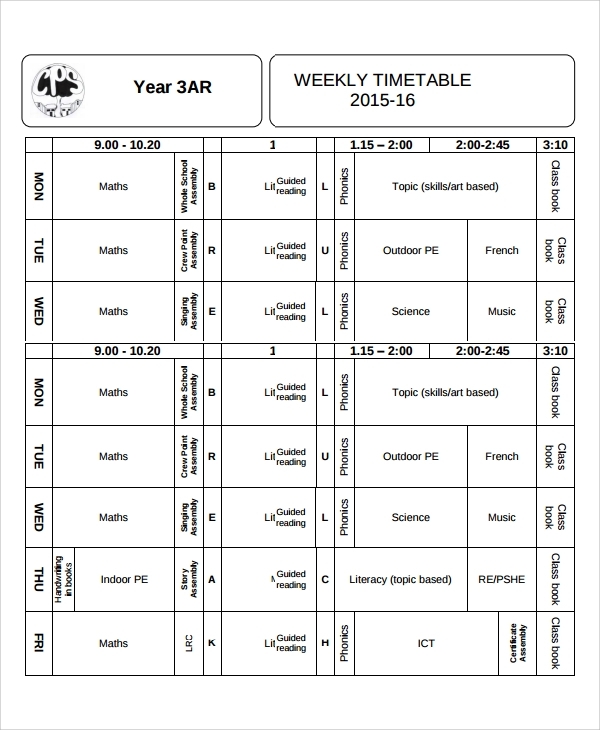 Our class timetable templates are designed differently to meet the different requirements for a school. 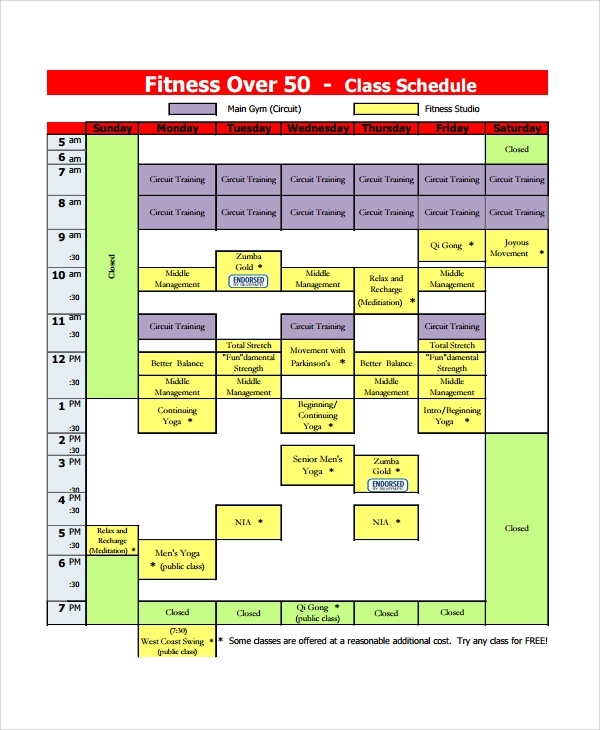 Apply our class timetable templates today and get organized.